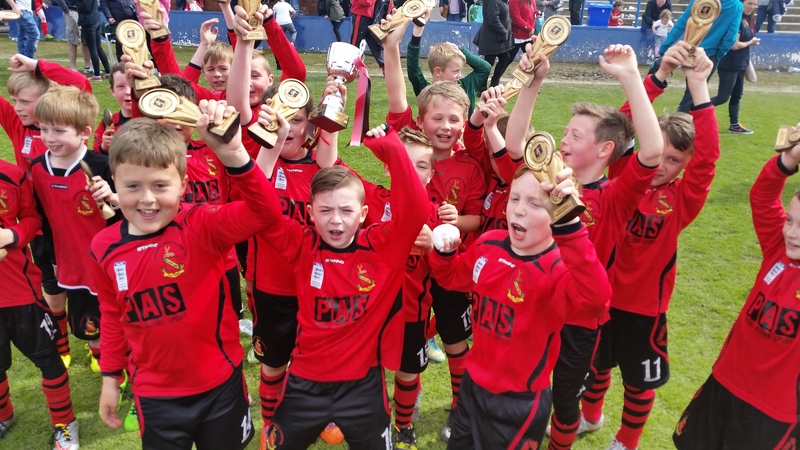 Hollingworth Juniors Football Club is an FA Charter Standard Development club, committed to providing a quality sports experience to the children of our community. We currently have teams from Under 7 through to Under 16 playing in a range of local leagues, along with a thriving soccer school for boys and girls age 4 to 5 and an open age football team. Training takes place at a range of local venues, all under the control of CRB checked, FA qualified coaches. 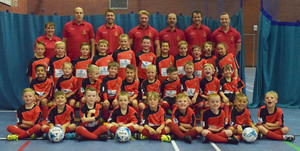 The Hollingworth Juniors Soccer Academy is going from strength to strength! Our annual presentation evening took place on the 10th June at Dukinfield Town Hall. 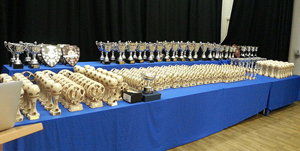 Over 400 trophies were presented. Well done to all the award winners!